We went for a very safe, tried and trusted option for our Mothers’ Day meal out, choosing to go back to The Angel in Holmesfield. The Angel is a gastro pub that specialises in gluten free dining, so you just can’t go wrong if you’re a coeliac. This makes for a relaxing experience, as you can have confidence that the staff know what they’re doing and, more importantly, care about it. The majority of the dishes are gluten free or can be tailored to be, and you get treats that you just wouldn’t elsewhere. My starter was ham hock terrine with deep fried brie! Anywhere that does gluten free deep fried cheese is a winner in my book! The pudding offer included a gluten free custard tart, which again, is a very rare find. I was too full, but I had a bite of my mum’s and it was delicious! So that’s birthday, Valentine’s day and Mothers’ Day done, all in a month. What excuse can I use to go out next? 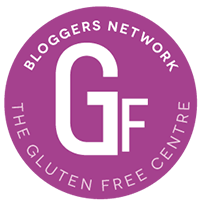 Tags: gluten free derbyshire, gluten free dining, gluten free eating out, gluten free food, gluten free pub. Bookmark the permalink.